One of the joys of street food is that it’s usually cheap, compared to what you’d get in a sit down restaurant or even a fast food joint. But New York City officials say a rumble broke out near Ground Zero recently when a food vendor was accused of charging tourists $30 for a hot dog, while sticking to the $3 price for locals. NBC New York (warning: link has video that autoplays) says fights have been breaking out at one particular food stand near the World Trade Center site, with customers accusing the vendor of overcharging not only for hot dogs but for soda, water and pretzels. The news station says multiple people have reported ripoffs, some saying he’d tried to charge $20 to $30 for a hot dog, or say, $15 for a pretzel and a water. 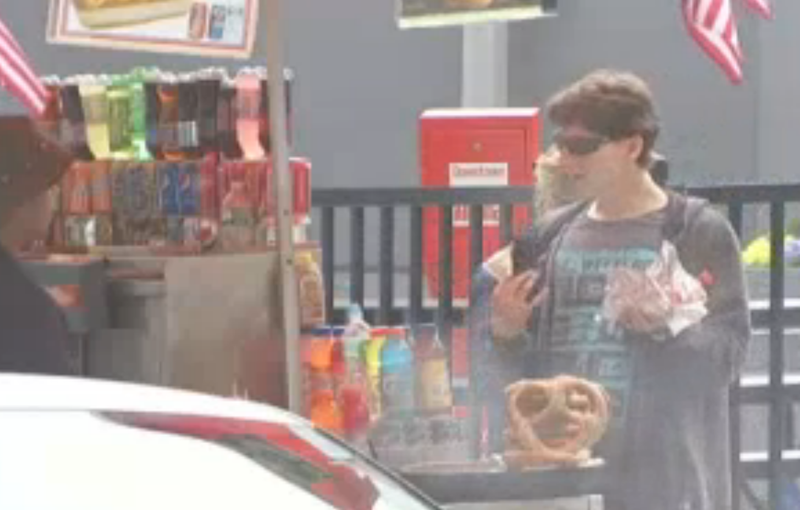 The channel’s cameras captured the vendor apparently trying to charge a local $15 for a hot dog and a pretzel. “To rip-off somebody, to charge them $35 for a hot dog and a pretzel, that leaves a terrible impression,” she said. The issue is exacerbated by the fact that the vendor’s prices aren’t posted, as required by the city’s Department of Consumer Affairs. The department says it’s investigating the vendor’s practices now, encourages those who feel they’ve been charged more than the posted price, or who find a stand that doesn’t have prices listed at all, to file a complaint at nyc.gov/consumers or to call 311. In general, if a street cart is selling $30 hot dogs, you can always walk a few feet or a few blocks and find more street meat at a much better price.